If you haven’t seen the black hole laser show that is currently being shown Friday nights in the O. Wayne Rollins planetarium, you should definitely take one of the remaining opportunities to see it. 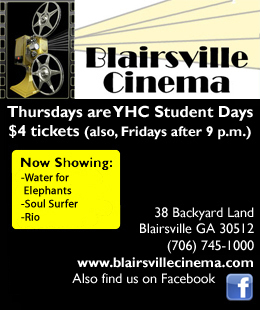 Black Holes: The Other Side of Infinity is free to students with a YHC ID. The show lasts just under an hour, making it the perfect break from all that studying that YHC students do on Friday nights. The show, which was created by the Denver Museum of Nature and Science, is educational without being boring. The shows runs just under half an hour, and you learn about black holes without feeling like you’re being bored with useless information. The graphics are also really amazing. They were created with high tech computers from the Denver Museum of Nature and Science, and the show uses Einstein’s equations to show exactly what would happen if we were to approach a black hole. Anyone who appreciates great graphics would love this show. The show is narrated by Liam Neeson. The voice of Neeson is great in the show, because he has a wonderful voice for narration. His voice blends nicely into the background sound effects, without being too obnoxious or too quiet. My favorite part of the show was when the program gave audience members an idea of how black holes are formed. The graphics were amazing, and the visuals explained black holes in such an interesting way that I was able to understand a concept that I had never been able to understand before. Plus, the way the show puts great detail into exactly how the black holes are formed in outer space was really helpful. Overall, I would give this show an A. Black Holes: The Other Side of Infinity was completely wonderful all around, and the planetarium crew did a great job presenting it. It’s definitely worth seeing. I was seeing stars Friday night. I didn’t get knocked out or intoxicated. I didn’t take a spontaneous adventure to Hollywood and rub elbows with the rich and famous. I spent the evening under the dome in the O. Wayne Rollins Planetarium which, excuse the pun, is pretty stellar. The last viewing was October1 of the full-dome show Awesome Light: Discoveries from the Telescopes of Maunakea. The academic-focused production covered the findings from Hawaii’s three major telescopes situated on the mountain of Maunakea. The celestial objects were mind blowing, especially the footage of a supernova, which is an exploding star. I was so mesmerized by the visuals that it was easy to get lost in all the information and tune out the audio. To be honest, I can’t remember much about what was said, but I can say it looked phenomenal. The crowd, which was predominantly from the surrounding area’s senior population, seemed to enjoy it. This zone is where it’s not too hot and not too cold- hence the fairy tale reference- to sustain life. While the planet is 20 light-years away and won’t be seeing one of NASA’s toys anytime soon, it’s still pretty cool to say I’ve seen it on the full dome of the planetarium. My favorite part of the night, hands down, was going up to the observatory located in the Brasstown Valley Resort, which opens up after the show, if it’s a clear night. It was pretty special to be up on the mountain with all these perfect strangers appreciating the same breathtaking night sky and then getting to examine it more closely on the telescope. 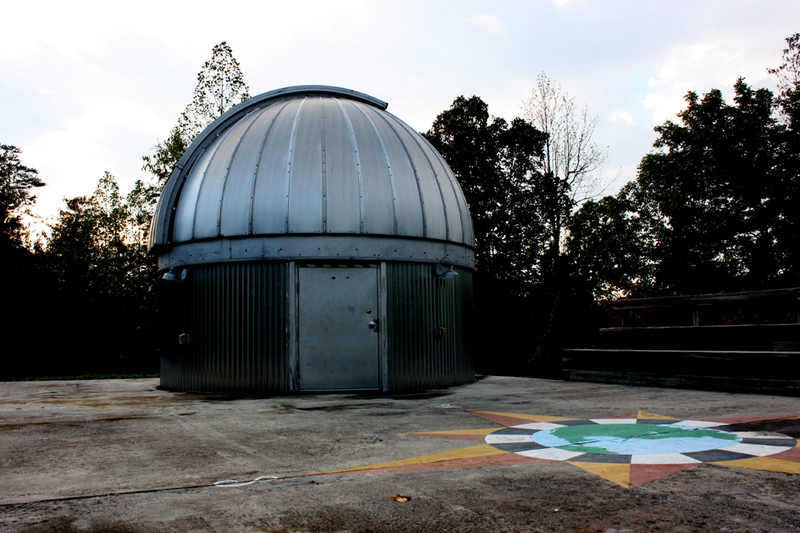 Every student at YHC should take a trip to the observatory at least once just to say they did it. No doubt, it was a pretty good way to spend a Friday night. The planetarium will have a Halloween-themed laser concert opening on October 22 called “Fright Light.” And, my friends and I have already made plans to go. Combining laser, special effects, spinning stars and music, it could be out of this world.